NE12E（composite we developed with Nippon Light Metal Company, Ltd） ..etc. 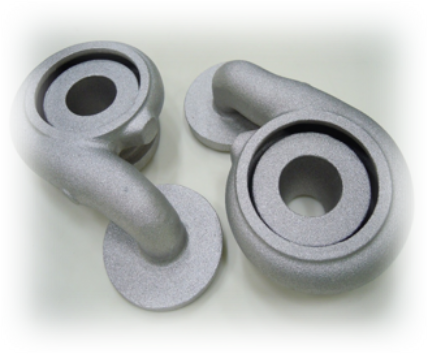 Since our establishment in 1942, we have been working in sand mold casting of non-ferrous metals. 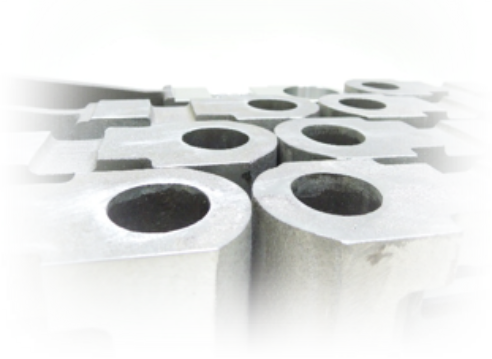 Not only that we use alloys available on the market, but we also challenge special materials difficult to mold. We excel in production of special parts of special domains. 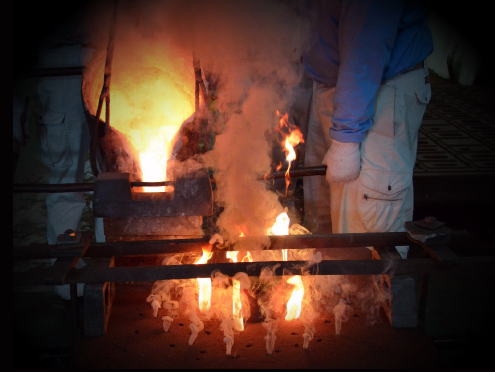 We also collaborate with material makers to develop and provide innovating high function materials. We can provide a consistent production of parts through the whole process of “casting – heat/T6 treatment – machining – finishing – coating/plating – assembly” with our in-house machining division and assembly division and in cooperation with other competent enterprises.